Select one or more files from your device, then drag and drop on the attachment area. Be sure to click the Publish button to save your work. Click the trash can icon next to the attachment you wish to remove. Hover to the left side of the file name, until the move icon appears, then click, hold, and drag to the desired location. 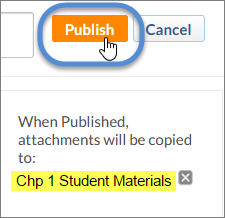 Click the Select Folder button to copy assignments to the group locker when you publish. 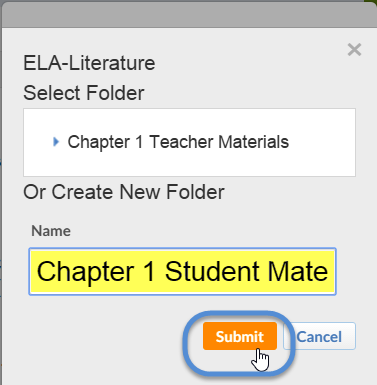 You will have the option to select an existing locker or create a new folder by entering the new folder name and clicking Submit. All attachments will be copied over when you publish your content.